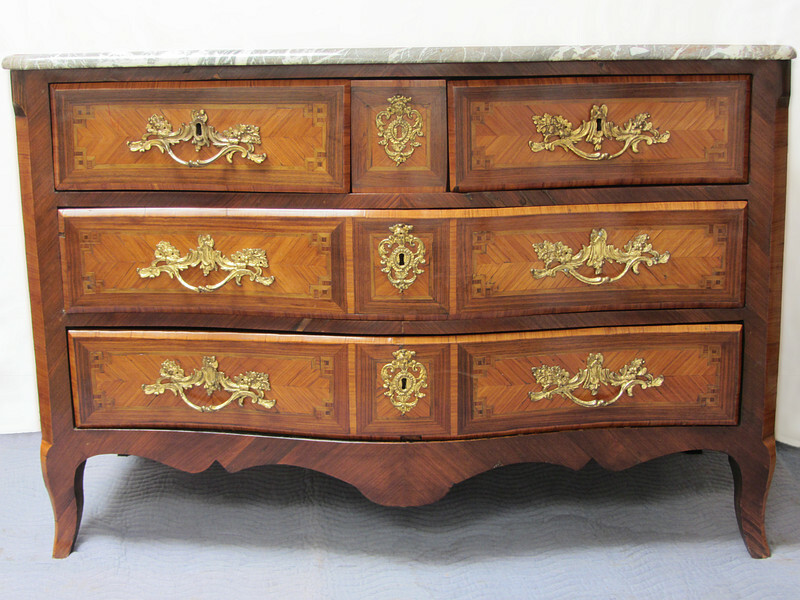 French transitional Louis XV-Louis XVI period commode having its original fired gilt hardware. Serpentine form front. Kingwood veneers are over fir variegated brown/grey and cream veined marble top.